Here at Getintothis, we adore new music. In fact, that’s an understatement. We crave it. Having pushed forward new artists, repeatedly championed the unfamiliar and backed those independents. So, of course, we’re more than ecstatic to see first ever GIT Award winners, Loved Ones, return with their new single End of an Error, ahead of their second upcoming album, Harness. Taking a more low-fi stance than their previous work, the four piece delve into a concoction of atmospheric ambient electronica. Although not too separate from their past, in which Loved Ones have often shown their affection for contemporary sounds, End of an Error presents a deeper, perhaps more chill (or chilling) feel. Harness will see the light of day via Blood Records on May 5. Also returning to the radar are falsetto firing duo, Her’s. The tone-topping twosome have become something of a poster boy for new music in the dream pop scene, already booking themselves a spot at this years Popfest in Madrid, and with their new single, Speed Racer, we can see why. The term Beach Music comes to mind most here. Full of jangly, feel good beats with a nostalgic sense of summer (something most of us may have forgotten at this point). In typical Her’s fashion, their sound can easily whisk you away, perhaps a tad hyperbolic, but Her’s have already proven their power with tunes such as Marcel and Dorothy. Speed Racer is part of the latest collection of tracks entitled Song’s of Her’s which will land on May 12. 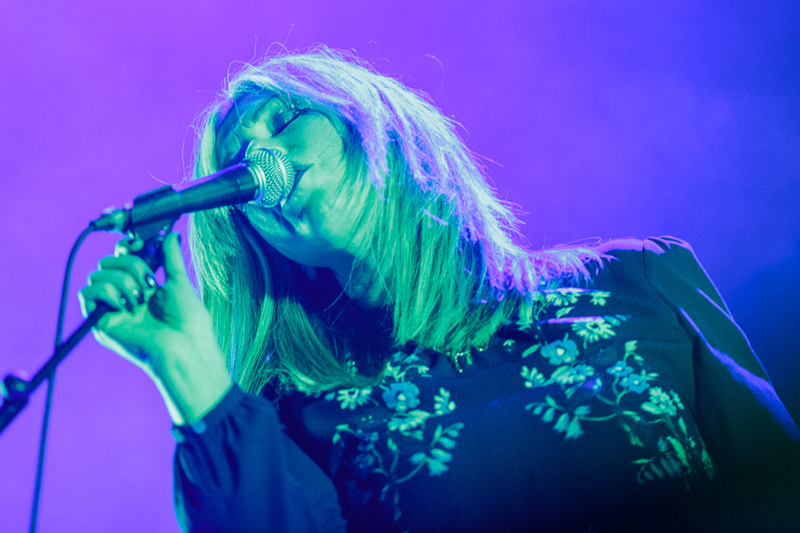 GIT Award 2015 nominee Jane Weaver has released a number taken from her soon to be fourth album, Modern Kosmology. With a long discography going back over a decade, Jane has garnered a loyal fan base through the years as a solo artist. Miss Weaver is no stranger when it comes to infusing sounds, and Slow Motion is no different. Combining folk-like vocals and cosmic beats into a single glorious track. Folktronica. If Slow Motion is anything to go by, the latest album is sure to be one to check out. Continuing the trend of releases in May, Modern Kosmology is set to launch May 19.